Got a big date coming up? Whether you’re taking your longtime partner out for a romantic meal or it’s a first date with someone you’re just getting to know, it’s always good to be prepared. To help you get ready for this romantic evening, we wanted to help you out with some key tips that will make a huge difference in how your date enjoys their night! For a dinner, most people tend to eat a bit later in Miami — especially in the summer when it cools off at night. But either way, around 7pm or 8pm is suitable for dinner on the weekend. Decide how you’ll get to the restaurant. It’s not generally seen as polite to invite someone to dinner and not arrange for them to get to the location where you’ll be dining. Unless your date particularly wants to drive themselves or arrange their own transportation, offer to pick your date up yourself. If you won’t be driving, you could still pick them up at their home by walking to their door. If you drive, however, never beep the horn to let them know you’re there! Always walk up to the front door. If you’re the one who did the inviting, always make sure you pay. Don’t order for the other person unless they want you to. Have some topics of conversation up your sleeve if you’re not great conversationalist naturally. Finally, choose the right setting. It’s important to choose the right setting for your big night out! You want to choose a place that has delicious drinks and meals, plus appetizers to get the night rolling right away. Look for a place that has already gotten a lot of good reviews online or from friends and family. If you already know what type of food your date prefers, aim for a restaurant that caters to this type of cuisine. If you don’t know what type of food your date will like, that’s okay too! Just choose a place that is generally considered tasty and one that isn’t too specific or unique. In some cases, your date may have dietary restrictions, and you will want to have a lot of options for them to choose from. Of course, we’re a bit biased at V&E Restaurant Group, but we think our restaurants in Miami are the perfect places to take your date when you’re going out! 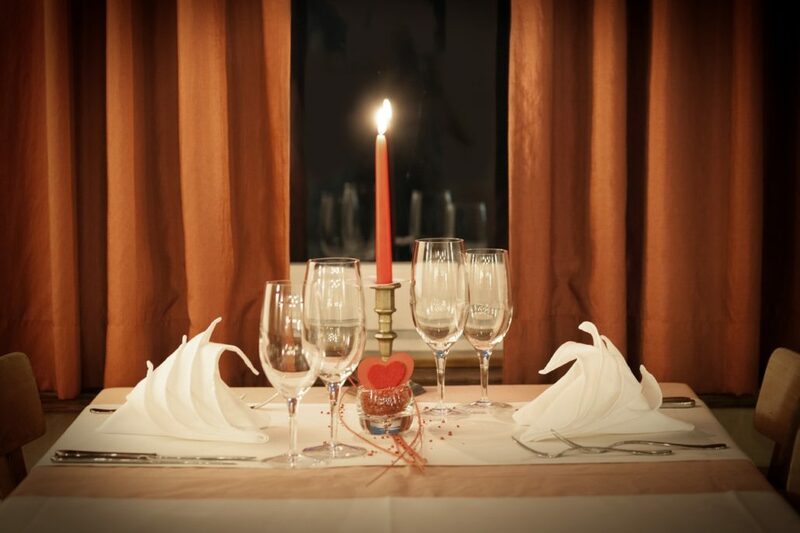 Make your reservations today at Mercato della Pescheria or Tapas y Tintos in Miami, and we look forward to having you and your date at our establishments for a romantic meal you’ll never forget! See you soon!